Dark Train is dark, in every sense of the word. The story is grim. The art style favors a lot of blacks. It is hard to see. That last point unfortunately impacted my gameplay experience more than it should have. While Dark Train is a beautiful game, its largely atmospheric experience is hard to engage with. When you boot up Dark Train, you immediately get thrown right into the deep end. You play as a mechanical squid named Ann. At least I think that’s the name of the squid, it’s never mentioned in the game itself, but I unlocked a Steam trading card that seems to imply her name. Ann is chained to the titular train, and you must manipulate machines and apparatus to get the train to move through a dark and grimy world. Of course, this all took me a long, long time to figure out. The first puzzle was in part a pixel-hunt old school adventure game style puzzle, but I couldn’t find the right pixel anywhere. That’s because Dark Train is as I said, dark. I couldn’t see anything. Eventually, I broke down and found a walkthrough on YouTube, which indicated where the missing cog was lying in the shadows, and I found it based on memory. And before you ask, yes, I tried playing with the settings first. After figuring out the brightness, I could see what I was doing, but I still struggled with the game’s puzzles. It is frustrating, or maybe I’m not that smart. I like puzzle games and adventure games, but Dark Train easily conquered me. The puzzles are based on opening different hatches on the train and pressing buttons, but I could not wrap my head around them at all. That’s a shame because Dark Train is drowning in style. The drenched cityscapes are beautiful, and seem like the sick lovechild of Blade Runner and Dishonored. The train implies a deep history, barely chugging along as different panels rust away and fall to the tracks. The presentation is worth something too and it really made me question what Ann was and why she/it was chained to this train. Similarly, the controls help make you feel like you were really a robo-squid. Ann’s animations were both appropriately squid-like and mechanical. This is especially pronounced when she reaches the end of her chain and struggles to be free. You can jerk her around with your mouse or a controller, and her floaty motions make the entire experience more dreamlike. 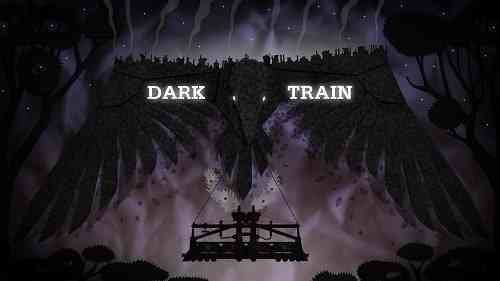 Technically and aesthetically, Dark Train knows exactly what it is. 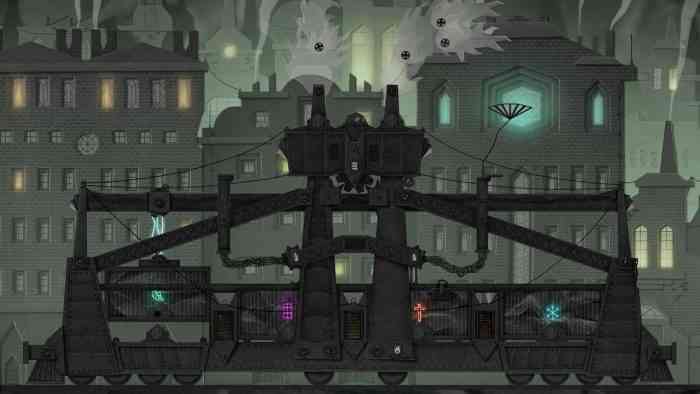 There’s probably a more determined gamer out there who can master the obscure beauty of Dark Train. All the power to them. There seems to be a lot going on beneath the surface. Unfortunately, the obscure puzzles aren’t very fun. I appreciate the style, but the unforgiving darkness makes the game nearly impossible to play. 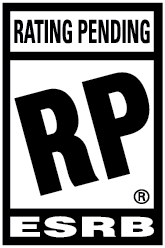 There’s an existential discussion to be had over whether or not games need to be fun, and I’m not prepared to have it. Dark Train is not fun, but it is beautiful.